Inspired by the success of past funding initiatives to train thousands of public school teachers and last year’s training week, Infosys Foundation USA will host for the second year, the Pathfinders Summer Institute 2019, a national convening for K-12 teacher education in Computer Science and Making. Mouse will offer a workshop on Scratch Creative Computing for grades 3-10 and Computational Making for grades 6-12. All K-12 public school teachers are invited to apply! 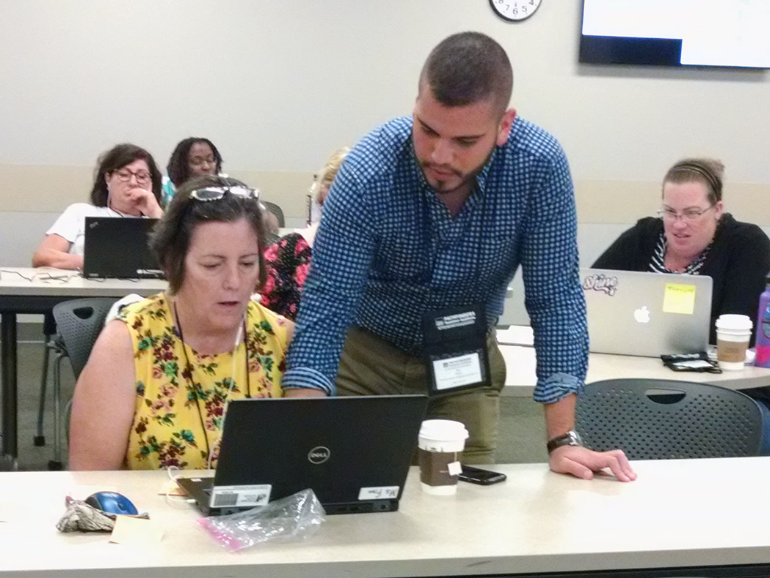 InfyPathfinders will be an intensive week of in-person professional development at Indiana University Bloomington (IUB) from July 14-19, 2019. Over 700 public school teachers from across the country will convene for high-quality hands-on training for K-12 CS and Maker education. All tuition, airfare, room and board for teacher participants will be paid. Funds from Infosys Foundation USA will be matched by schools, districts, and by individual donations through DonorsChoose.org in order to make it possible for teachers to attend the Pathfinders Summer Institute at no cost.